Folks seem to get confused by swim terms/terminology. 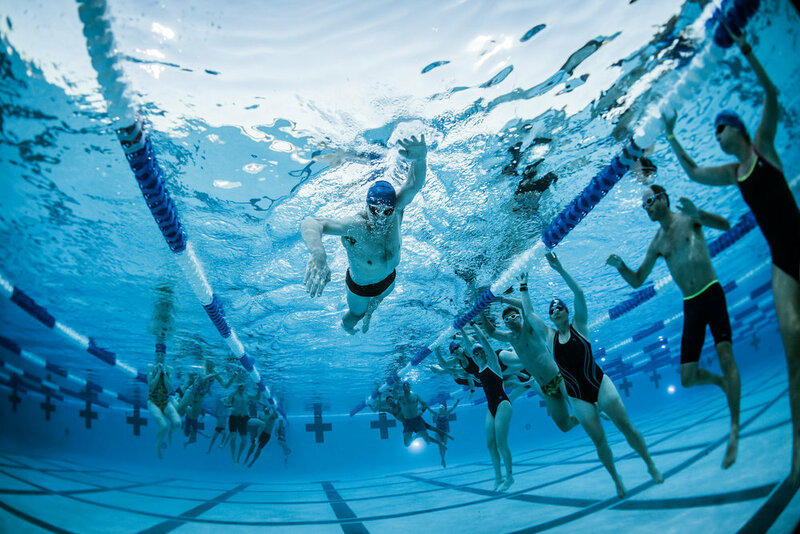 Here we provide a general and ever expanding glossary of swim terms + drills for the next time you are unsure of what something in your workout means. WHAT IS FUNCTIONAL THRESHOLD SPEED(FTS)? Functional Threshold Speed is the average maximum sustainable pace(100 pace) you can hold for a test set. **Make sure you are warmed up and your body is primed before starting. WHAT IS BASE PACE/BASE INTERVAL? 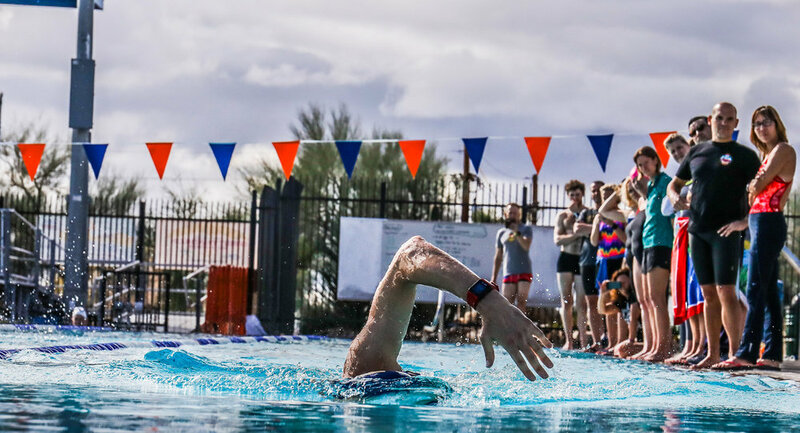 Base Pace is your ‘home.’ It is kind of a misleading term when you use ‘Pace’ as it is typically referred to represent your swim interval, not your effort/speed. Base Pace is the interval that all of your sets are typically based off of. Base Pace = 115% of FTS. Your ‘send off’, or the time(s) you push off the wall would be: 0:00, 1:20, 2:40, 4:00. How it Looks: Base Pace, z3, +:20 = Base Pace Interval @ z3 effort, with :20 rest at the end of the interval, not per 100. The goal of this drill is balance in the water. The goal of this drill is body position and timing. This drill is best done with fins. You will use one of our arms to swim freestyle(right arm) and then breathe to your left. This drill is great for balance, timing, and rotation. It really puts everything together. 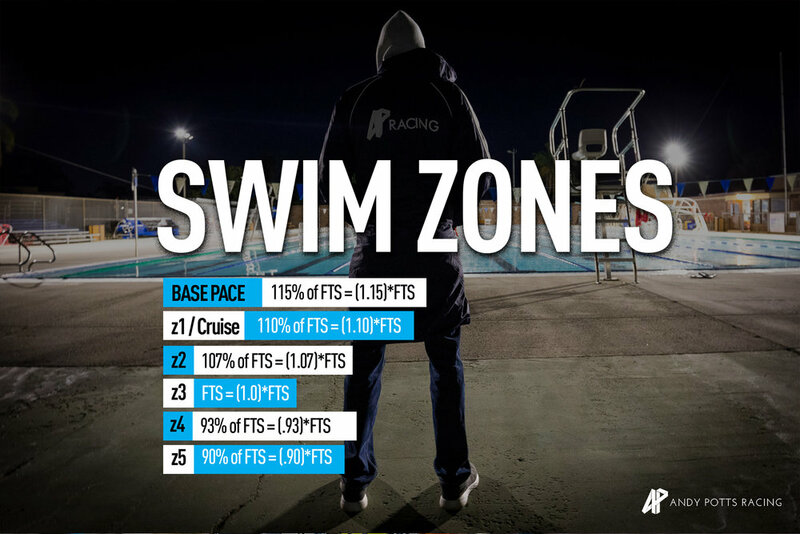 Distance Per Stroke: The goal here is to maximize the distance in your stroke without ‘overgliding'. You are looking for low stroke count and strong anchoring to propel you forward. 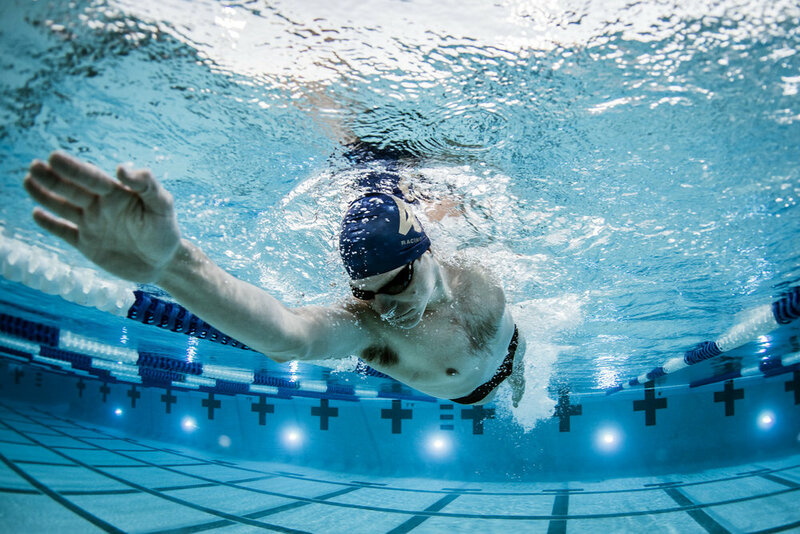 To overcome a ‘short stroke’ or bad timing, you swim and do not start your catch until your hand entering the water touches your anchoring hand. Opposite Hand / Opposite Foot with Fins + Paddles: This is a timing drill where you put a fins on your right hand and left foot(or vice versa). What you are looking for is for your paddled hand and finned foot to enter at the same time. At first, your tendency is to kick from below the knee. Try not to do that once you get the timing down.